At the DuBois on Main Museum, we are working to preserve the history of DuBois High School and the black history of Fayette County. Come visit us to see the latest exhibit. 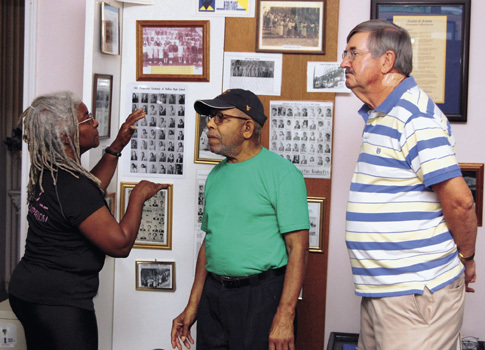 Jean Evansmore, left, a Mount Hope resident and one of the event organizers who has missed only one reunion since it started in 1972, discusses a former class of DuBois High School with Leroy D. Lewis Sr., center, and Don Davis. “This is my hometown; that’s where I was born in 1928,” said Lewis, now a resident of Mt. Morris, Mich. Lewis, a 1947 DuBois graduate, has attended every reunion. Davis, a Maple Fork native who now lives in Daniels, formerly worked at the local U.S. Bureau of Mines office and has a keen interest in preserving the history of local towns. We host weekly and monthly events that highlight black history and build community. 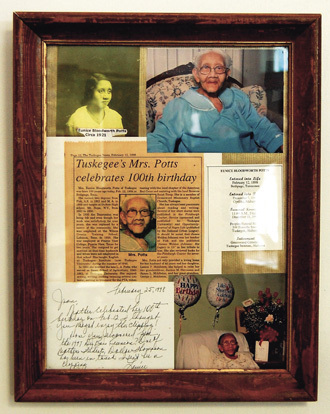 Among those recognized in the museum are Eunice Bloodworth Potts, a writer who also taught at DuBois from 1921 to 1930. She herself was taught by James Weldon Johnson at Fisk University in Nashville. Mount Hope resident Jaron Penn, 19, left, stopped in to visit with Evansmore at 116 Main. 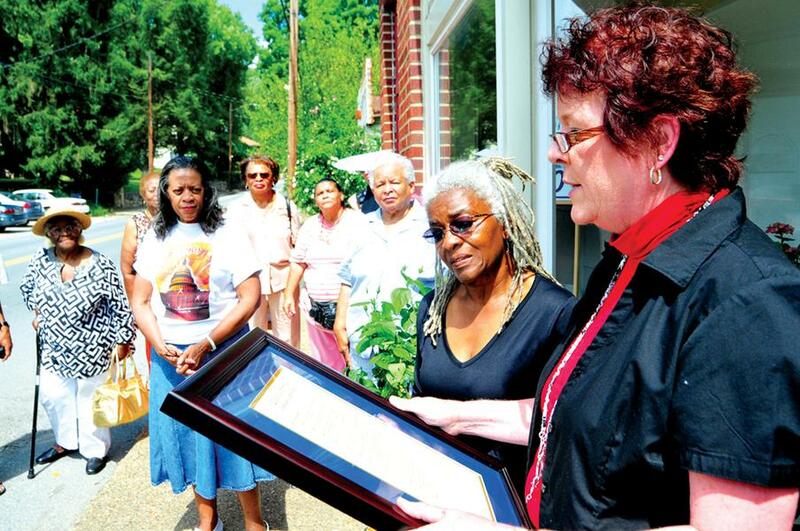 County commissioner Denise Scalph reads the inscription on a plaque at the opening Saturday of the DuBois High School Museum at 116 Main Street in Mount Hope. Looking on is museum curator Jean Evansmore. The location was named a historical landmark.